Following the Walkers: When July in the city starts to feel like the fiery blazes. When July in the city starts to feel like the fiery blazes. We decided to escape the city after hearing that temperatures would reach 100 this weekend. My wonderful father-in-law picked us up on Friday night and we spent much of the last two days sitting by the pool, talking to our families and playing with our pup. I love this city - truly. In most of our discussions about the future, we see ourselves here, even with children. We see a lifetime of walks to Central Park and Hudson River views. But a part of me aches when we go back to Connecticut to see our families and return to the places where we met and grew (halfway) into the people we are now. For today and for the foreseeable future, we live in New York. But I'm fairly certain that most summer weekends are better spent in the company of family and a large glass of iced coffee. 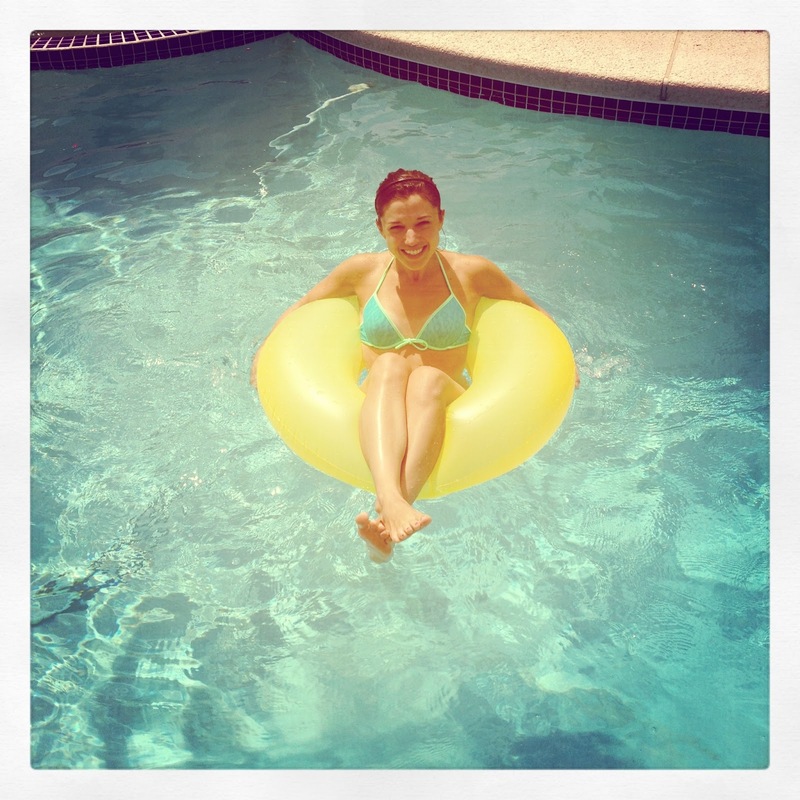 A pool and a yellow inner tube don't hurt, either. Cute picture! I wish I could go take a dip in the pool! i love city life! always seems so exciting and convenient once you have kids to be able to walk everywhere. how fun for you to be able to get away for the weekend. especially with those scorching temperatures! i was so sad that we couldn't meet up two weeks ago...but thank you so much for the recommendations!